I recently had the good fortune to travel a stretch of the Blue Ridge Parkway through Virginia. If you have never driven the Blue Ridge Parkway, you should. It is one of the two or three most beautiful roads I have ever seen. Drive the Parkway in the spring, if you can, before the leaves come out. Then it’s like, well, it’s like winning a trifecta. You get long views over the mountains and foothills; you get the first blushes of green clothing the mountainsides; and you get incomparable bursts of white and pink and red in the fruit trees and dogwoods and azaleas. You also get this most beautiful road in America all to yourself – you can drive for miles and miles without seeing another car or person. Returning to New Hampshire from another recent trip, I had the equally good fortune to drive the Taconic Parkway up the Hudson River. 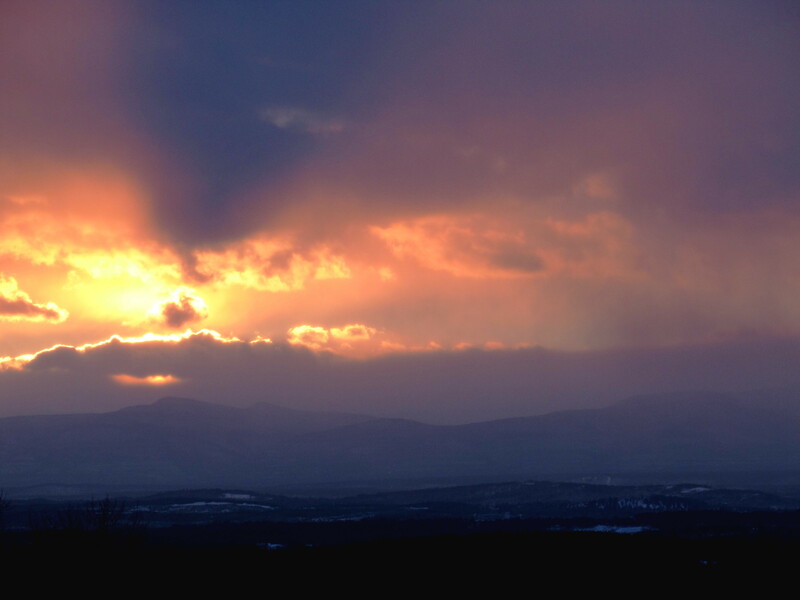 The Hudson River Valley doesn’t have the grand mountains and long views of the Blue Ridge, but is just as beautiful in its own way. You wind up, down and through hillsides of orchards and woods and pasture for a hundred miles, with occasional views west to the Catskill Mountains, 40 miles away. This is Rip van Winkle country, for all the world little changed since his time. On that trip I was coming back from New Jersey, where I was doing a project to send desks and chairs and dorm furniture to disadvantaged kids and families. I love what I do, what we at IRN get to do. We get to keep usable stuff out of the “waste stream” and get that stuff to people who need it, often desperately. That’s fun and rewarding – a good thing to be doing. But what I was reminded, driving through those beautiful landscapes, is that what we do is not really about reuse. It’s not really about furniture, it’s not really about the “waste stream”, it’s not really about the folks we get to help. It’s about this beautiful rich country of ours, and this one-of-a-kind planet. Reuse, recycling, waste reduction: they are about a way to live on this planet. They are about a carry-in, carry-out policy toward Planet Earth. They are about touching the Earth in our lives in a way that leaves it for others to enjoy after us. The Blue Ridge wasn’t always the Blue Ridge. There was a time when it was logged and scraped bare, when it was a landscape of tree stumps and tangled, rotting brush. The beautiful Blue Ridge is all second growth; it is a landscape recovered from exploitation. A mountaintop “mine” in West Virginia. One of hundreds. And we’re still exploiting, at a massive scale, with more destruction than ever. Just a few miles west of the Blue Ridge, almost within sight of the Parkway, you will find dozens or hundreds of new stumps, not of trees but of whole mountains, mountains that have been scraped off and shoved into the valleys next door to reach a seam of coal a few feet thick. 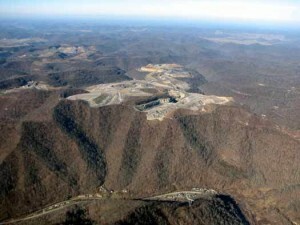 “Mountaintop removal mining.” Google some photos; they’re gross. There are hundreds of square miles of these dead stumps of mountains, and of valleys filled with debris. A little further north in Pennsylvania, there are whole landscapes made toxic by mine tailings. Where I traveled in New Jersey, there are poisoned Superfund sites that are and will remain fenced against entry, forever. That’s why what we do is important. Reuse, recycling, intelligent use of resources – they make it possible to have and enjoy landscapes like the Blue Ridge. Careless use of resources – that ends up in mountaintop removal. Reuse and recycling make it possible to have and enjoy landscapes like the Hudson Valley. Careless use of resources produces poison mine dumps and Superfund sites. In the end it’s not about the furniture, it’s about the landscapes. It’s about using resources in a way that lets us preserve landscapes for others to enjoy after us. It’s about using resources in a way that lets our children and grandchildren enjoy the Earth as we have. It’s about demonstrating the possibility of producing lasting wealth without destruction. The Earth provides plenty of resources for us to do that, if we use the resources wisely. We collect furniture, and send it to people who need it. In the end, not for them, nor for ourselves, but for this beautiful rich country of ours, and this one-of-a-kind planet.